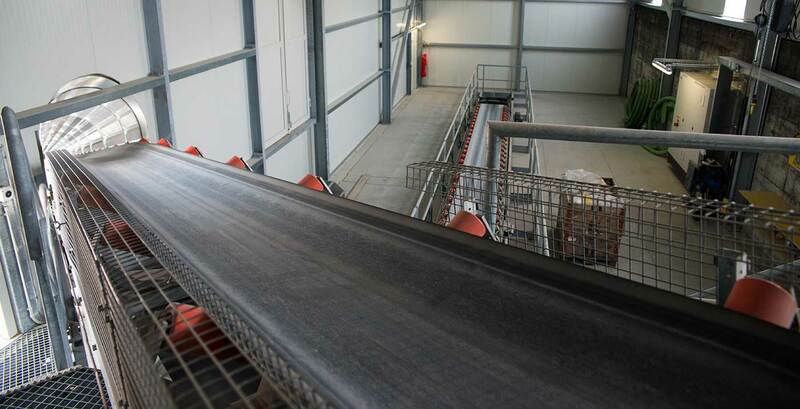 As a general contractor, we perform for you the implementation of individual total plants, complete gravel plants as well as complex processing plants or the optimisation of existing infrastructure. Conversion, extension, service and maintenance are part of our total range alongside the creation of complete systems for the conveying of bulk material and the integration of third-party products. Top-quality workmanship, reliable service and professional maintenance guarantee a long service life of the system. As a general contractor, we plan your new plant or your plant expansion. We offer our support with the optimisation or conversion of your existing system. When implementing your plant for the conveying of gravel, chippings, stone or sand, we pay meticulous attention to features such as individuality, economic feasibility and functionality. Depending on the raw material, we choose the right wet or dry processing method for you. Our bucket elevators are used for the vertical and continuous transport of bulk material. The bulk material is transferred to the buckets at the bucket conveyor inlet. Lumpy feed material is mechanically crushed by crushers into smaller particle sizes, ranging in size from coarse to medium. Vacuum drainage for low residual moisture. Hydrocyclones are centrifugal separators for liquid mixtures. Permanently magnetic overbelt magnets are used when foreign iron content is to be removed automatically from bulk materials. A pulsator jig is used to separate light material from heavy material according to the principle of density sorting. The purpose of a reciprocating feeder is to withdraw the bulk material from a heap with a clearly defined flow and transfer it to the downstream conveyor system. A sand trap is used for draining and fine sand recovery from solid-water slurries from the underflow of a washing screen or dissolution station. The purpose of a screen cylinder is to pre-sift the washed material. It is therefore usually built on a washing drum. Equipped with Isenmann screen surfaces. The sizer is an attractive machine for dry sizing. Treatment towers are an important part in the treatment of process water and sludge. A truck loader serves to load the mixture into a vehicle or truck mixer. Our truck loaders are specifically adapted to the circumstances in order to cover all customer needs. Washers are used for washing contaminated and clotted material.